Whether we wish to admit it or not, our names get linked in with our mind’s stereotyping of people. Why is that, you may ask? I believe that it’s due to the fact that names have meanings. They aren’t just empty sounds; devoid of significance. You see, in spite of all the attempts being made to make western culture “politically correct,” many cultures still name their children based on either the child’s perceived personality or based on the character they hope to see in the child later on in life. 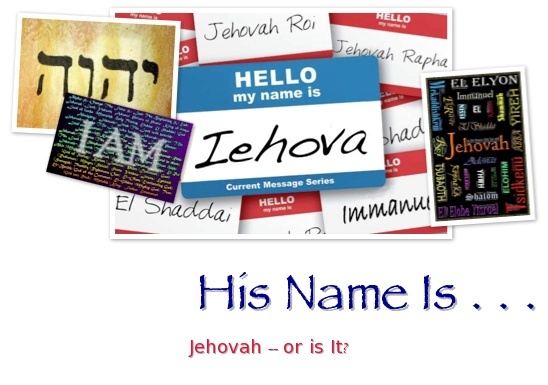 As we have read in Article 1, God’s Hebrew names all have deep significance. However, the name “Jehovah” has revealed its self as an enigma. Allow me to explain. It has always been my understanding that the names “Jehovah” and “Yahweh” were both the same. 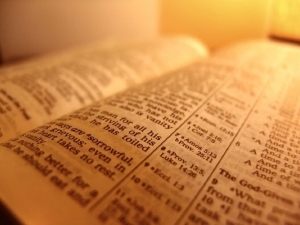 Each has been understood by many to be Hebrew for the name God disclosed to Moses in Exodus 3:13-14, the name “I AM,” but that may not be so true after all. Recall, if you will, that Hebrew names are sentences of sorts. “Yah” would be literally translated into English as the pronoun “He,” and “weh” would translate as “being.” So, literally the name Yahweh means “He Being” or the more familiar “I AM.” Now, where the name “Jehovah” becomes a puzzlement is in the fact that the letter “j” doesn’t exist in the Hebrew language. In fact, it didn’t even exist in the English language officially until about 500 years ago. Crazy stuff, this whole study of languages. So, how did we come to add the letter “j” into our alphabet? Well, it began with the Germans making the Hebraic “ya” sound as a Germanic “ja” sound. We would say today that the “y” was transliterated into a “j,” but the actual letter came about when English scribes began to morph the Latin letters “i” and “y” into one character. The letter “i,” in both Latin and Old English, was a consonant and a vowel and when it was coupled with the letters “a” or “e” it created the sound we now recognize as the soft “g” sound or phonetic “ja” sound. As I understand it, the letter “j” was the last character added to the English alphabet, and was used officially in an English publication in the year 1634. You see, this one letter — the letter “j” — affects the meaning of Jehovah’s name, because there is no letter “j” in the Hebrew language. So, since there is no letter “j” in the Hebrew language, it stands to reason that a mispronunciation seems to have taken place concerning Elohim’s most commonly used name. And if “Jehovah” has been mistranslated, then this name in English would appear to rightly mean “He Ruins,” or “He Destroys,” but we know from Scripture that God doesn’t cause ruin or destruction to anyone but Satan and his followers (Psalms 9:6, 52:5; Proverbs 10:29, 21:12), and God’s characteristics listed in Galations chapter 5, verses 22-23, record neither of these traits. So, does “Jehovah” mean something negative about God or does it mean “I AM”? Is the name “Jehovah” appropriate for us to use when calling upon the Almighty, or not? I honestly can’t say one way or the other, at this point, as there are legitimate arguments for both views, but I will pose this thought. 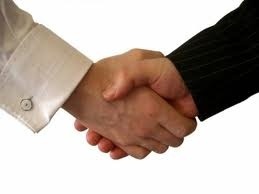 Say you meet someone from a foreign country who has a very complicated pronunciation connected to his or her name. You want so badly to do this person a service, and show them respect, by correctly saying their name and yet time-and-time again you botch it up. Maybe their name has a marvelous meaning behind it and yet every time you say their name your phonetic bumbling transliterates that majestic name into something silly or maybe even disrespectful. You feel horrible for having done so, and expect this foreign acquaintance to chastise you at any moment for your mistake. Instead, however, he or she graciously smiles — possibly gives you a tender correction — and proceeds to offer you a more simplistic way to say his or her name. I believe this is what God does with us. God knows what is in our hearts and knows how difficult foreign languages are for most of us who aren’t the scholarly type. Our Creator understands about mistranslating one word from one language into the next. God understands about varying alphabets and characters. The Father understands how easy it is for our imperfect minds to make an incorrect transliteration of a sound, or a letter, or a word. I also believe that when we make these mistakes God smiles down at us and responds to us just as if we had called out His name in perfect Hebrew; just as if we spoke with a keen understanding of what we were saying. You see, God is not as concerned with us uttering correct phonetic sounds or pronouncing words perfectly. No, the Father’s concerned over whether or not our heart is right in its intention; whether or not our attitude of worship towards Him is pure. The Holy Spirit, God’s special intercessor, takes our imperfect sounds/words and makes them perfectly clear to the Father of life (Romans 8:26-27) and also interprets for us God’s own words. Dr. Michael J. Svigel (Assistant Professor of Theological Studies at Dallas Theological Seminary), in a recent conversation with Jason Ministries, said this about the controversy surrounding the name “Jehovah.” Dr. Svigel said, “I wouldn’t worry about it too much. ‘Jehovah’ was originally pronounced ‘Yahova.’ It means ‘the One who IS’ or ‘the self-existing One,’ related to the verb ‘to be,’ hence, ‘I AM’ or ‘I AM the One who IS.’” Ponder that meaning for a moment — “I AM the One who IS.” Now there’s a name worthy of our praise — selah! His Name Is . . . by J. Scott Harden is licensed under a Creative Commons Attribution-NonCommercial-NoDerivs 3.0 Unported License. Adoration. 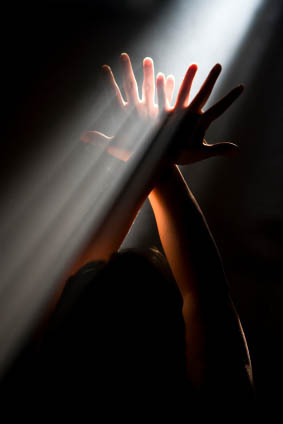 Exaltation! Jubilation. Praise. Worship! 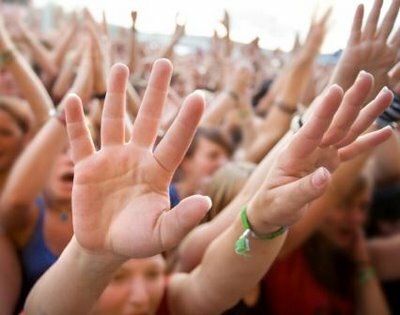 What comes to mind when you hear or see the word “worship”? Do your thoughts gravitate towards one of the previously mentioned words? Or, do you possibly consider words such as admire, idolize, or even respect? Do you think of rock stars, Hollywood celebrities, idols, perhaps church, or how about God? It’s been my experience with churches throughout my lifetime, as a minister’s son, licensed minister of the gospel, and lay-person, that the average modern church does much to encourage those of us known as believers to participate in worship, especially at the corporate level, but very little time is actually spent teaching believers about what worship is and the many levels of worship we will and should expect to encounter along our everyday walk with God. It’s almost as if the modern church believes its members are “born again” with the instinct to worship God, and do so fully and properly. Yes, we are made new in Christ (2 Corinthians 5:17) and made as one with the Spirit of Christ (Galatians 3:28), but we must daily die to self (2 Corinthians 5:15), daily take up the cross of Christ (Luke 9:23), and daily choose whom we will serve (Joshua 24:15). Our worship of God is not instinctive but must be learned (Exodus 33:13; Psalm 119:102-105; 1 Corinthians 12–13). This series of articles, known as The Joshua Project, will correctly define for us all what worship is. It will examine the life of a true worshiper. It will allow us to understand both corporate and individual worship and break down the multiple levels of these two types of worship. It will journey into the who, what, when, where, why, and how of worship. 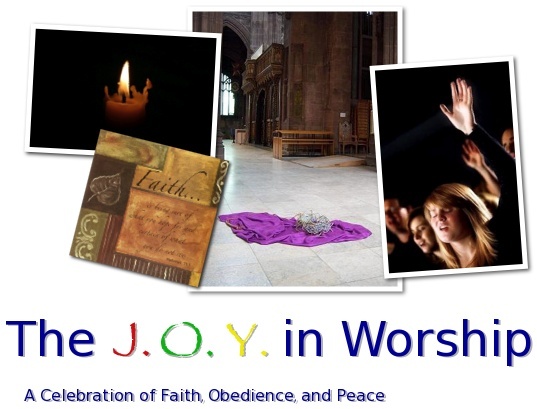 It will bring clarity to the various acts of worship, such as our faithfulness, our witness, and our service. 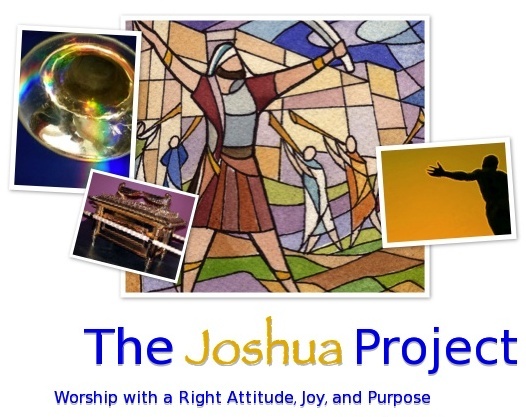 Our attitude, joy in life, and purpose for life will be defined as they relate to worship, and more important, The Joshua Project will show us how to apply them to our daily lives. When our study is done, we should be able to reflect on both our spiritual and physical lives to see how important a healthy understanding of worship is to our spiritual growth, to our physical well-being, to our relationship with God, and to our relationship with other people. Only then can we properly continue our life’s journey refreshed and renewed and be appropriately named a true worshiper! So, I invite you to take this journey with me, and let’s study together just what worship is, and let’s understand together just how to be transformed into the true worshipers God desires us to be.